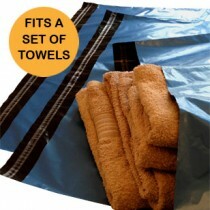 Bayard Packaging manufactures these blue mailing bags from our manufacturing facility in the UK and are 100% recyclable. 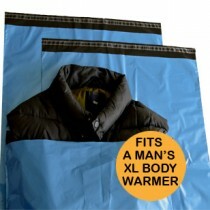 These are very popular from our range of stock mailers, and because of the high demand from our customers for these, we are able to pass on great prices to you. 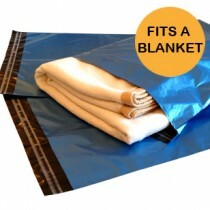 All our mailing bags come with a self-seal closure and are made from a fully opaque 55 micron co-extruded material, ensuring they are high in strength whilst still offering a low posting weight. 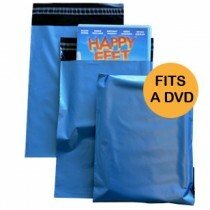 If our blue mailing bags are not what you are looking for, we carry an economy range of grey mailing bags, white mailing bags and pink mailing bags all in 55 micron, or if you are looking for a thicker option, we do carry a range of extra strong white mailing bags. 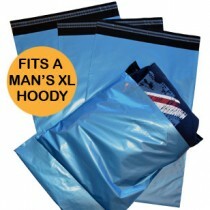 This size blue mailing bag come with a permanent self-seal closure and is made from a fully opaque 55 micron co-extruded multi-layer plastic material, ensuring they are high in strength whilst still offering a low posting weight. 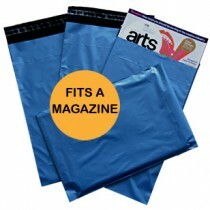 These mailing bags are produced using a special formulated 55 micron 3 layer co-extruded material meaning they are 100% opaque...Exceptional quality at a great price! 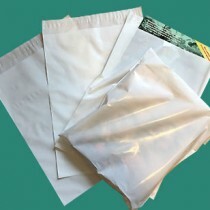 These mailing bags have been produced with GREEN™ Polyethylene, plastic that has been produced from sugarcane, meaning that these mailing bags have been produced from renewable resources that will make a significant contribution to reducing greenhouse gas emissions throughout the chain. 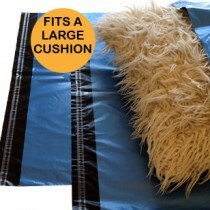 304mm x 405 - 12" x 16"
The size is roughly C4 (A4 envelope) and suitable for magazines, brochures and craft patterns etc. These metallic blue mailing / parcel bags are produced using a mono-layer 55 micron metallic blue PE material, they incorporate a 8mm permanent self-seal closure and come boxed in 250's . 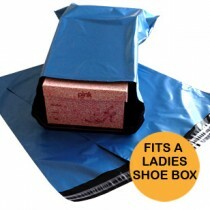 These metallic blue mailing / parcel bags are produced using a mono-layer 55 micron metallic blue PE material, they incorporate a 8mm permanent self-seal closure and come boxed in 200's .